Do you have a passion for sales and customer service? Do you take pride in reaching and exceeding your goals? If you are confident, self-motivated and driven to succeed, we need talented people like you to help us grow! Due to our continued success, Van Horn Automotive Group, an Employee Owned Company, is expanding their team. Van Horn Nissan/Volkswagen of Sheboygan has an outstanding opportunity for a professional and experienced Sales/F&I Manager. If you are looking for a new career at a family-oriented company Van Horn Automotive may be the place for you. The Van Horn Automotive Group has been amazing customers since 1966, and now has 15 locations throughout Wisconsin and Iowa with over 500 employees. 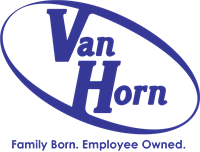 Van Horn offers an excellent benefits package that includes health, dental, vision, Employee Stock Ownership Program (ESOP), 401(k), paid vacation and holidays, gym membership reimbursement, tuition reimbursement, and employee discounts. We are seeking a customer-focused professional with a positive attitude, the ability to lead others, and the determination to get results. This is an excellent opportunity to grow your automotive career. We offer a guaranteed salary plus commission!